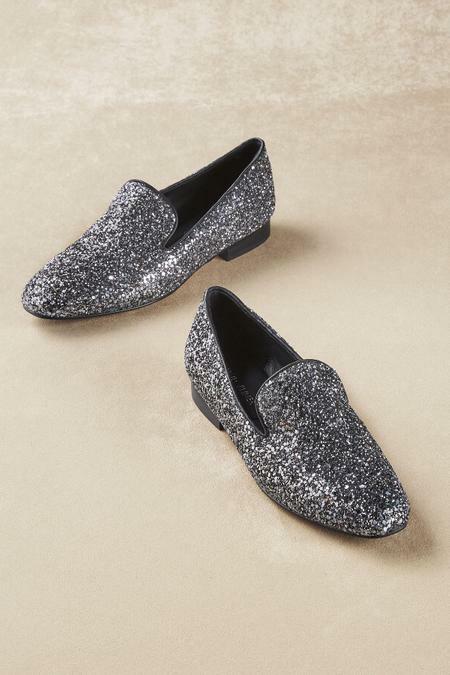 Sparkly glitter turns tailored Donald Pliner smoking slippers into a party for your feet—perfect with everything from jeans to tuxedos. They're fashioned with a leather lining, padded insole and leather sole to make sure you'll enjoy the holidays and any day in real comfort. 3/4" heel.